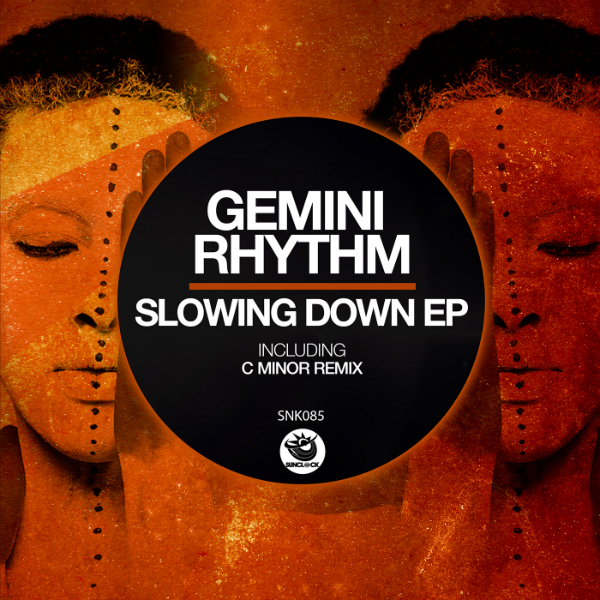 Gemini Rhythm is a new sparkling Italian duo that debuts on Sunclock with an excellent 'Slowing Down EP', a package composed of 3 powerful tracks that also include a fantastic remix of C minor. 'C minor Remix' is a very effective track from the pure Afro house mood. A refined but at the same time solid and effective beat, which acquires thickness thanks to the low lap that accompanies it. The percussions come together and, at the same time, alternate with a crescendo of electronic synths until you get to the central break ... very deep, sick ... and then start again on a hypnotic travel that accompanies you to the end. 'Original Mix' is a high-speed train that starts at top speed, with a straight and unstoppable groove syncopated by ayet cutters that open on a massive bass and synth spin that give the track a surreal, almost mystical atmosphere, thanks to the piano melody during the deadly break. The evolutions of electronic synths that accompany the whole song are written to perfection. 'Throwback' has a more dirty, aggressive and black soul. The bass and the most overbearing and harsh electronic synths. The track has an interesting overlap between this totally insane background and a piano melody that might seem like a lullaby. The effects of echo and reverb give way to a synth melody that will have a devastating effect on the dancefloor. The break is indescribably original. The track goes through evolutions that never seem to end. We are honored to publish this fantastic package!